The Javanese traditional society knows well and highly respects Walisongo, the nine Walis, Islamic preachers/ saints who have disseminated the religion of Islam in the island of Java in the 15th century. During that period, the inhabitants of Java were very few, only a very small part of the land was cultivated and inhabited, the bigger part was covered by dense jungles. The fertility of the land in the pleasant tropical climate was a beneficial factor for the birth and development of a civilized human community. The islanders have for a long time adopted a kingdom system of their free country, they had kings and queens of their own Javanese folk. The kingdom system was an influence of Hindu culture, the original system of ancient government was Kabuyutan under the leadership of Ki Buyut ( Javanese for Great Grand Father) flanked by several wise Grand Fathers. The council of the elderly played significant role in the society. Since the ancient time, the Javanese have practiced wet rice cultivation and sailing. Some of them became brave sailors as echoed in our old famous song : “My ancestors were sailors”. Agriculture and sailing have developed for a long period in Java, because our ancestors had known astronomy, so they were familiar with the rotation of climate, meteorology, the direction of the wind etc. With the knowledge, they knew accurately the time for cultivating and sailing. Before the arrival of foreign culture in Java ( and the first influence was Hindu culture), the native of Java had mastered the knowledge of : Wet Rice Cultivation, Astronomy, Sailing, Wayang, Gamelan, Song, Batik, Art of Forgery, Payment with coins, system of government. They also knew weaving to make clothes. The life went on smoothly in ancient Java, they involved in many kind of activities such as working, trading, art and culture, regular ritual ceremonies etc. They practiced spirituality, a belief to Gusti, The Creator of the Universe, God. The native Javanese people are merdiko ( Javanese for free), they are free people who like to help each other ( gotong royong in Javanese) in their societal activities. In daily life, the traditional people of Java honor and practice The Order of Life ( Paugeraning Urip in Javanese language), which means in all activities , they have to do in accordance to morality, etiquette and they are obliged to always honor their parents and ancestors whether they are still alive or already passed away and they also have to preserve nature. ( Mamayu hayuning bawono in Javanese language). 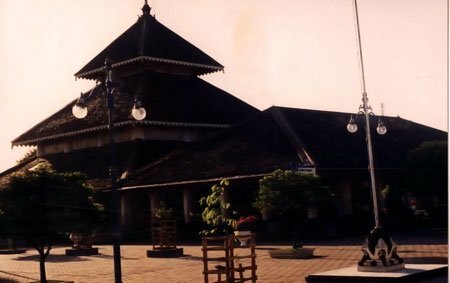 Seeing the prosperous condition of life in Java and the rich inheritance of ancient objects such as temples, inscriptions etc., there was an indication that Java had established a relationship with people from other countries. The relation with other countries and culture have influenced positively in the development of local culture. According to historical data, since the 13th century , the religion of Islam had been introduced in several harbor towns of the north coast of Java including Majapahit , a strong agricultural and maritime country that earlier had trade relations with foreign countries. The followers of Islam were foreign merchants and native who confessed to Islam. Later on, some court officials were attracted by the teaching of Tasawuf and Makrifat , they also confessed to Islam. The dissemination of Islamic religion for another two centuries went on peacefully. The Moslems adored the beautiful court culture. 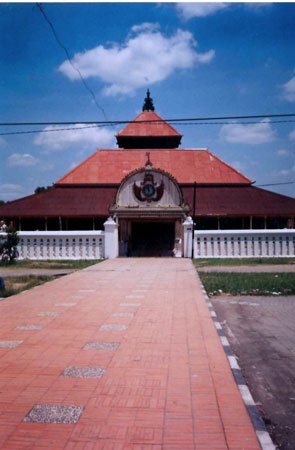 The mosques in Demak, Kudus and hinterland of Java were built with Javanese style of architecture. At a seminar held in National Library Jakarta in October 31, 2000 with topics “ The Influence of Islam towards Javanese Culture and reverse”, some noted historians such as Prof. DR. Simuh, Prof.DR. Djoko Suryo, Prof.DR. H.Ardani, Prof. DR. Sartono Kartodirdjo have expressed similar opinion that before the arrival of outside influence, the ancient people of Java already have their own belief and culture. During the process of development in this country, the culture of Hindu, Buddha and Islam never put aside the Javanese culture, what had happened it was influencing each other, the same with Christianity, Catholic and Confucianism which arrived later on . The role of Walisongo was very significant. Syekh Maulana Malik Ibrahim was the eldest of the Walisongo. He preached Islam in East Java, particularly in Gresik, so he was dubbed as Sunan Gresik. From reliable sources among other from” Encyclopedie van Nederland Indie”, Syekh Maulana Malik Ibrahim was the 17th descendant of Prophet Muhammad through the lineage of His daughter Siti Fatimah who married to Sayidina Ali bin Abi Thalib. 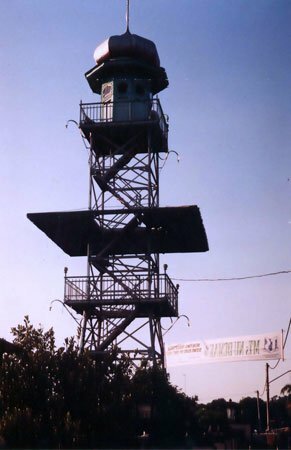 Sunan Ampel or Raden Rahmat was the son of a wellknown Islamic preacher Ibrahim Asmaraqandi who spread Islam in Campa or Cambodia as ordered by his father Syekh Jamaluddin Jumadil Qubra. Asmaraqandi was successful in asking the king of Campa to confess to Islam. He married Candrawulan, the king’s daughter. From this marriage, Sayid Rahmatullah was born. Later on, Rahmatullah became a noted preacher by the name of Sunan Ampel. King Brawijaya of Majapahit Empire married to Anarawati, a sister of Candrawulan, the mother of Sunan Ampel.Brawijaya confessed to Islam. After his marriages with Anarawati, he divorced all his other wives. He handed over Dewi Kian, his former Chinese wife to Adipati Aryo Damar , his vassal in Palembang. At that time Dewi Kian was pregnant. Soon after her arrival in Palembang, Dewi Kian gave birth to a son , Raden Patah. In fact ,Raden Patah was a son of Brawijaya. He became a student of Sunan Ampel, in the future Raden Patah was crowned as the king of Demak Empire ( Central Java). It was the fall of The Empire of Majapahit . 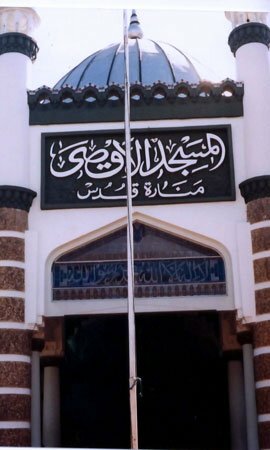 Sunan Giri or Raden Paku or Ainul Yakin was a son of Syekh Maulana Ishak, an Islamic preacher of Arab descent who lived in Samudra Pasai, Aceh. He was a descendant of Sayidatina Fatimah, the daughter of Prophet Muhammad who married to Ali bin Abi Thalib. His mother was Dewi Sekardadu, the daughter of Prabu/King Minak Sembayu of Blambangan who was a Hindu. Sunan Giri was a cousin of Sunan Ampel as both were the grand children of Syekh Jamaluddin Jumadil Qubra. Sunan Bonang or Raden Makdum Ibrahim was the 4th son of Sunan Ampel. His mother was Dewi Candrawati, the daughter of King Brawijaya. So, Sunan Bonang was a grandson of Brawijaya. He became a famous preacher, he had many followers in Tuban. When he was preaching, he played bonang , a gamelan music instrument. Many people of Tuban attracted by his style of preaching accompanied by bonang music. Since then, he was famous as Sunan Bonang. Sunan Bonang had a number of followers in several places such as Jepara, Bawean, Madura etc. People adored him as a wise and intelligent preacher. He was very patient and polite to every body, not only to his Moslem followers but also to those non- Muslem. Sunan Drajat or Syarifuddin was the 3th son of Sunan Ampel. His mother was Dewi Chandrawati or Nyi Ageng Manila of Tuban. He lived around the Saka year of 1400 or 1478 , during the period of the fall of Majapahit empire. He participated actively to help the formation of Demak Kingdom. He was a person of virtue. Following the teaching of his father, he believes that if a person had gained a lot of knowledge (also divine religious knowledge), he would enjoy good life materially and spiritually. In this world life, he would be respected by others and be granted an esteem place by Allah in the afterlife. Sunan Kudus or Ja’far Sadiq was the son of Raden Usman Haji from Jipang Panolan, nearby the town of Blora, Central Java. He had high knowledge of Islam and the people recognized him as a Great Preacher. He was also dubbed as Sunan Ngudung. Since he was young , Ja’far Sadiq like to travel to various places to study, to gain more experience and to find a better life. His father told him that as a Moslem, he always had to work hard to earn an honest living and if necessary should go around the world to know the greatness of Allah. He was very generous, person who always help the needy. It was happiness to be able if to help small people . Except learning Islam from his own father, he also learned from Kyai Telingsing, a Chinese preacher who lived in Juwana. The wise Kyai Telingsing had predicted that one day Ja’far Sadiq would be a great person. Sunan Muria or Raden Said or Raden Prawata had spread Islam in the region around Mount Muria, Central Java. He was son of Sunan Kalijaga, born in the mid of 15th century. His mother was Dewi Sujinah, the elder sister of Sunan Kudus. Sunan Muria was very intelligent and polite, he had very good relation with the other Walis. Sunan Gunung Jati or Syarif Hidayatullah was dubbed as Fatahillah. The Portuguese called him Falatehan. He had several names : Syekh Nuruddin Ibrahim Ibnu Maulana Ismail, Said Kamil and Maulana Syekh Makdum Rahmatullah. He was a sayid, it means that he was a descendant from Prophet Muhammad. He was born in Samudra Pasai, Aceh in the end of 15th century. His father was Maulana Sultan Mahmud from Bani Ismailiyah. His mother was Ratu Mas Rarasantang, the daughter of Raden Panamarasa, the king of Pajajaran. As a kid , he learned Islam from his father, he was a devoted student . He learned hard general knowledge as well as Islamic knowledge. When he grown up, he believes that general knowledge would make people live prosperously, while religious teaching would direct people to choose the correct way of life. Thus, general knowledge and the teaching of Islam must go hand on hand. Syarif Hidayatullah went to Mekah to study and stayed for 2 years in Mekah. He learned from noted preachers such as Syeikh Tajmuddin Al-Kubra and Syeikh Athaillah Syadzali. He continued to deepen the teaching of Tasawuf ( Islamic Mysticism) in Bagdad. Syarif Hidayatullah mastered a lot of knowledge perfectly. But he remained a humble person, very polite, had the ability to speak attractively. He was a poet and an expert of literature. He returned here to teach his noble knowledge. Sunan Kalijaga or Raden Sahid was a son of Tumenggung Wilatikta, the regent of Tuban. His mother was Dewi Nawaningrum. He was dubbed as Sunan Kalijaga because he liked to meditate or did spiritual deed in the river ( river in Javanese language is kali). He did it for the purpose to cleanse his soul and seek divine revelation. Kalijaga means a keeper of kali ( the word kali in this context means belief/faith). Sunan Kalijaga is entrusted to be a keeper of all faiths in the society. In his period, the people of various kind of religions and beliefs, they lived in harmony. He was very popular Wali/ Islamic preacher, well respected by kings, court officers as well as by ordinary traditional people. In his preaching, he never hurt the feeling of people from other religion or faith. Beside a Wali, Sunan Kalijaga was also a famous artist and cultural expert. 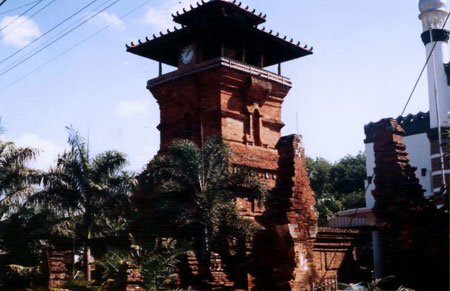 He had done a lot to help to preserve the Javanese tradition and culture. Sunan Hadi , he became Kalijaga’s successor as the regent of Kadilangu . Sunan Kalijaga was a charismatic Wali with a big influence in Central Java and Mataram, he had many followers, many of his students became experts of knowledge and religion and some became spiritual advisers of kings in Java. In his activity to disseminate Islam, he did preserve Javanese culture to remain alive and even progressing. Since then, the Javanese started to call God as Gusti Allah. The mantras inherited from ancestors are kept alive. Since then, before spelling a mantra, the words : Bismillahirrohmannirrohim are said, after spelling the mantra, people says : Kersaning Allah ( “as wished by God” in Javanese language). The Javanese traditional people adored him as a Wali who was very intelligent, wise and had a good manner. People astonished by his ability in miracles and people respected him more because despite his famous ability in various kinds of fields, still he remained a humble person. Above all as an artist, he had created several songs( tembang in Javanese language) which are still popular up to now. Some of his famous students were Sunan Tembayat and Sunan Geseng who became Guru and Guide of Sultan Agung, the king of Mataram. Sunan Kalijaga had predicted that The Kingdom of Mataram would be enormous and played an important role in Nusantara/Indonesia. Besides the famous Walisongo, at least there were 2 other well known Walis at that period, but both of them were not part of Walisongo, they were Syekh Siti Jenar and Sunan Panggung. JagadKejawen, Insya Allah, God willing, shall present the holy sanctuaries and ancient mosques inherited from Walisongo as valuable heritage which must be preserved by the nation. JagadKejawen is grateful to Mr. Sabdono, the Chairman of” Komunitas Ma’rifat of Metafisika Study Club”, Jakarta, as the source of history of Walisongo.